Thanks to a generous legacy gift, important improvements have taken place to help conserve ZSL Library’s important and historical collection for future generations. Founded in 1826, ZSL Library is one of the major zoological libraries in the world and is open to all. ZSL Library provides a valuable service. It is used for research in all aspects of zoology, from researchers studying animals in the field to academics working in theoretical areas. It contains a unique collection of books dating back to the 16th century, journals; original drawings and paintings; photographs; ZSL archives; Zoo ephemera; and original handwritten manuscripts. One kind donor was passionate about ZSL, having been a member of ZSL staff for 17 years. She left the residue of her estate to The Zoological Society of London 'for the upkeep of the library'. Librarian Ann Sylph, says, 'This gift came at the perfect time. We had just received funding for an art cataloguer to survey and catalogue the extensive art collection but the lack of space and inadequate storage facilities meant it was difficult to organise and find paintings, many of which were scattered around the Library. 'The gift was used to refurbish the Library’s art store. It now has specialist storage where art works can be hung; shelving to accommodate water colours; and Solander boxes that provide an acid-free environment for prints and manuscripts. The gift is also being used to improve environmental conditions in ZSL Library. It was found that the environment in the Library was either too hot and dry, or too humid. A consultant advised monitoring the environmental conditions for a year to see how the conditions fluctuate. The data collected will inform us of how best to improve conditions in ZSL Library, and this legacy gift will fund this ongoing work. 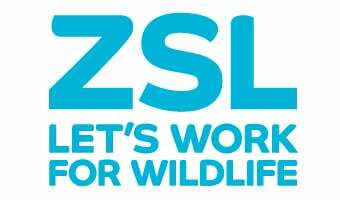 As a charity dependent on public support, ZSL needs future gifts in Wills to help to continue its work. By including a gift to ZSL in your Will you will be making a lasting contribution to the conservation of animals and their habitats.